​As a family, we are passionate about the water! Whether it be beaches, pools, lazy rivers, water parks, lakes or rivers, we love it all! The kids and I have been fortunate to swim in some very special spots in our travels and we wanted to share some of our favorite pools with you! 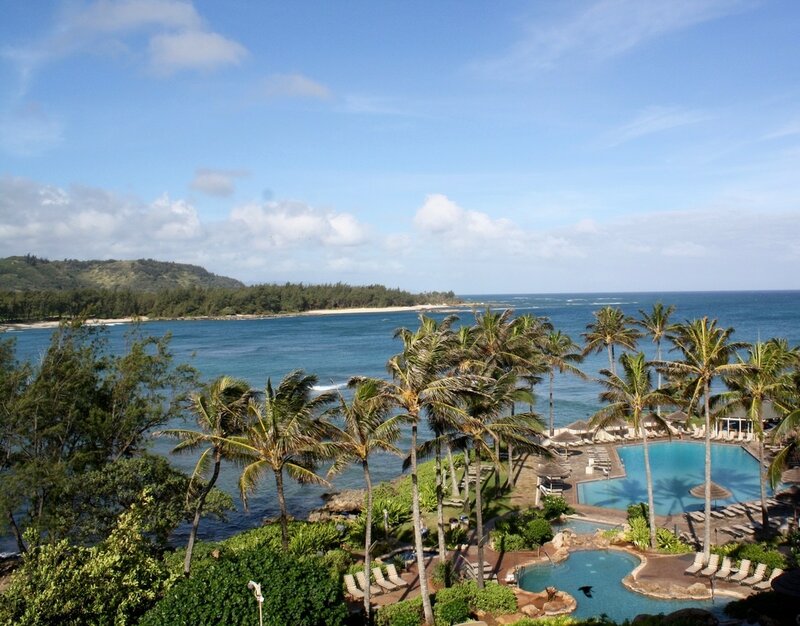 Turtle Bay Resort, North Shore- Oahu, Hawaii - The location alone is magnificent! Add to that a waterslide and the kids had a blast! Little America Hotel, Salt Lake City, Utah - This is a fun pool! It is a year round pool with an indoor section but then you can swim under a low bridge and find yourself outdoors. Open year round and located on the roof with a great views of the city. Hyatt Regency Chesapeake Bay Golf Resort, Spa and Marina - Cambridge, MD - Another great pool with a super fun waterslide for the kids. Waterslide is gentle enough for kids of all ages and easy to access. South Hampton Inn, South Hampton, NY - A 50 foot heated seasonal pool. Water was nice and clean and lots of room for kids to play around. Kingsmill Resort, Williamsburg, VA - The River Pool was loads of fun! A water slide, pool and lazy river all connected. What more could a child want!! Sandpearl Resort, Clearwater Beach, FL - Heated Zero-entry lagoon-style pool located directly on the beach. We were there in January and had the whole pool to ourselves! Best Western, Thermopolis, WY - This is a funny one, this town is so small and we went there to visit the Wyoming Dinosaur Center. We took an early morning swim in this pool and it was so peaceful and such a beautiful and peaceful location. You can also take a dip in the natural mineral spring fed hot tub. Thermopolis is home to the largest mineral hot springs! Mandalay Bay - Las Vegas, NV - This place is so much fun! With a 1.6 million gallon wave pool, pools and a lazy river, your kids can be entertained for hours!! Manchester Grand Hyatt - San Diego, CA - Located on the hotel’s 4th floor, this is a family friendly pool. We visited on the 4th of July and they had kid’s activities all day by the pool. This hotel is also an excellent location to view the Big Bay Boom fireworks! Italian Village Pool - Beaches Turks and Caicos - This is a huge Zero Entry Pool with plenty of space to play! They even have a swim up bar where you kids can enjoy a fruity drink! Our favorite thing was to take a swim in the evening when the pool was empty and the pool was lit up in all different colors. It was a magical experience!